It's important to teach our kids about forgiveness - one of many Godly character traits for kids. 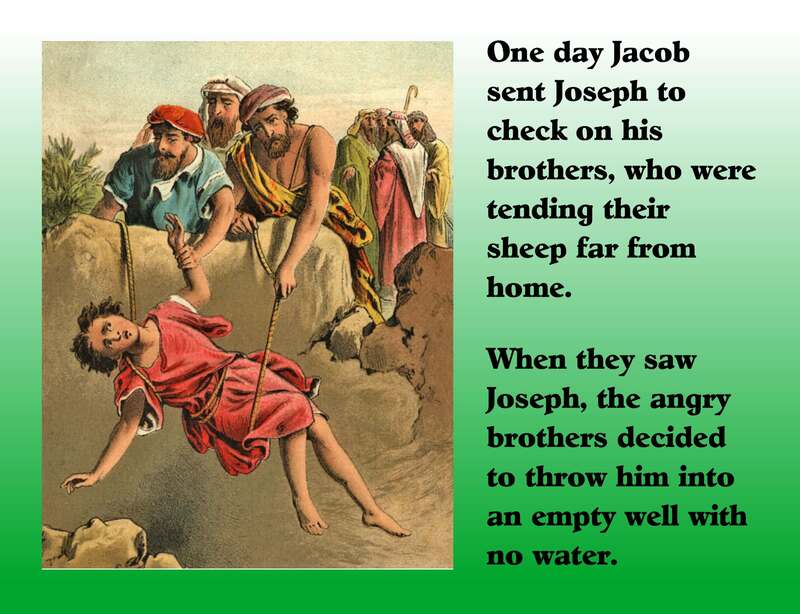 Learning that Joseph forgives his brothers is a great way for your children to learn the importance of forgiveness. Last summer I was given the challenge of coming up with 6 Bible programs based on Godly character traits for kids. "Kindness" was on the list and I was excited to be able to share the Bible story of how Joseph forgives his brothers with the children. Forgiveness may be the ultimate expression of kindness and grace and mercy! With brothers like that, who needs enemies?! 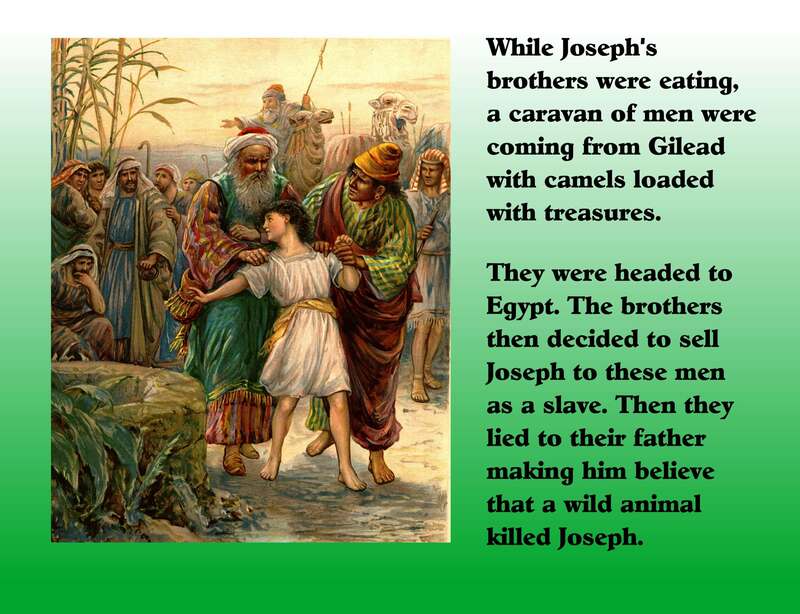 But this wasn't the end of Joseph's trials. He suffered injustice at the hand of Potipher's wife and was then thrown in jail for a crime he did not commit. 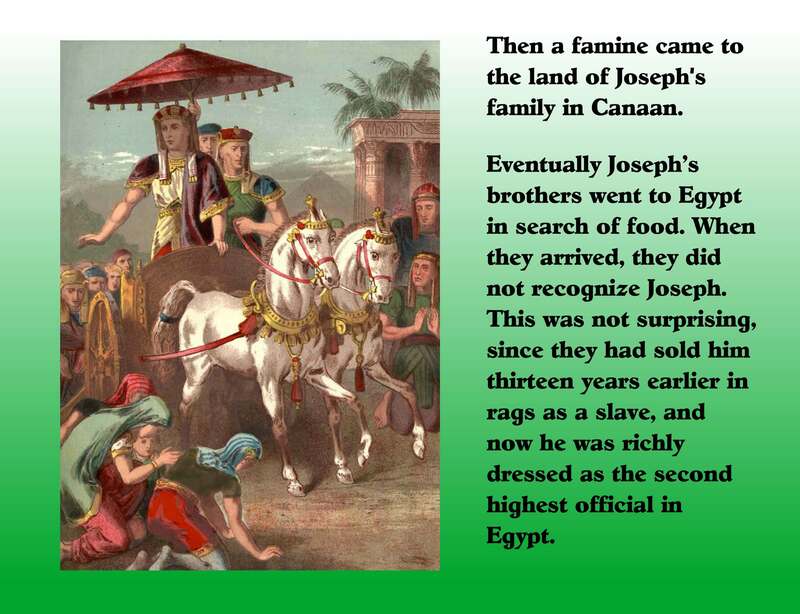 If the story of Joseph ended here, it would be an incredibly tragic story, but God intervened. 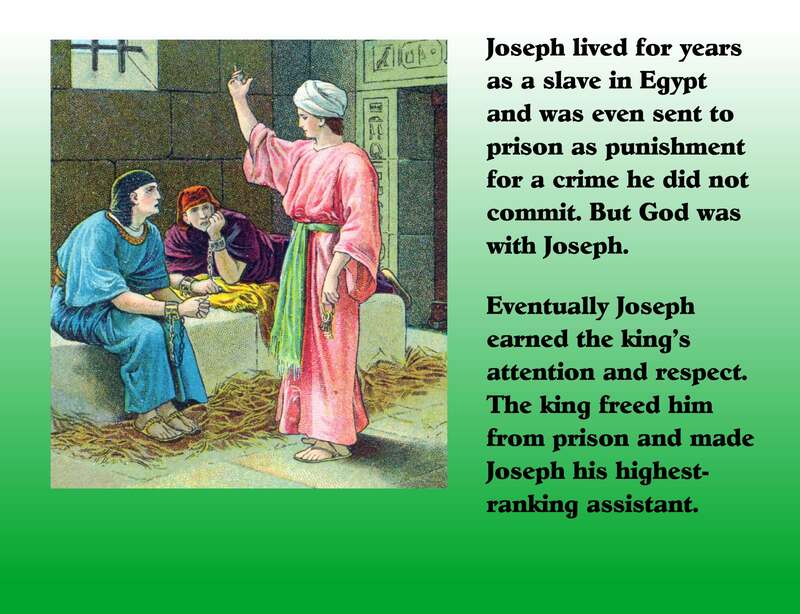 God was with Joseph at all times and Joseph learned this truth through and in spite of all the hardships he endured. 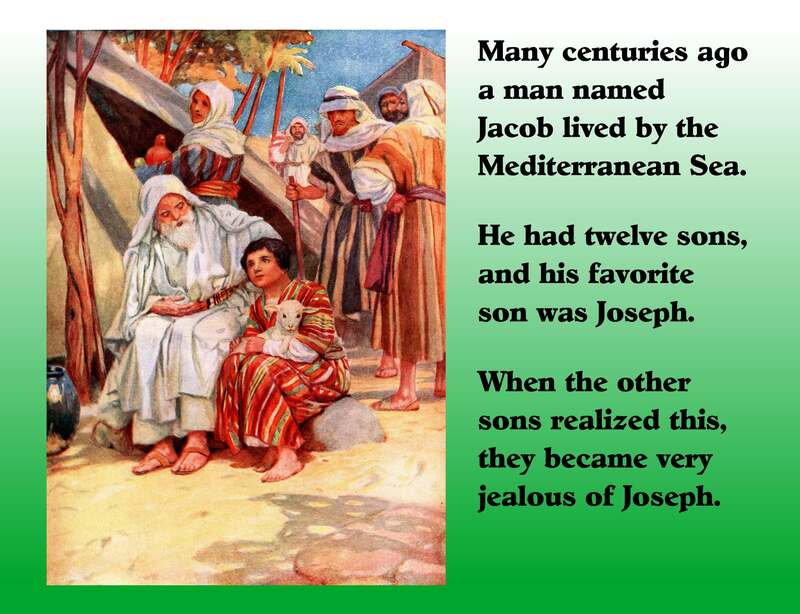 Because Joseph grew in his relationship with God, he could recognize that what his brothers meant for evil, God meant for good. 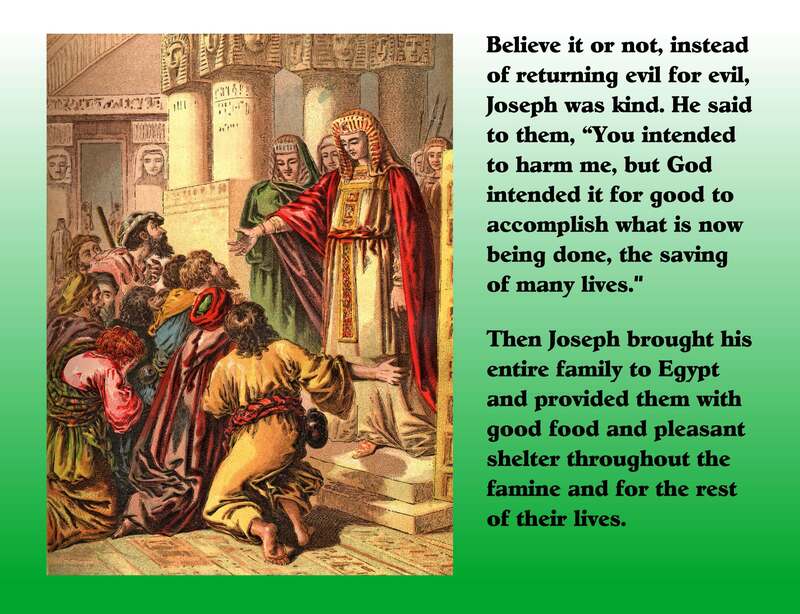 (Genesis 50:20) And because of God's goodness in his own life, Joseph forgives his brothers and showers them with kindness that they certainly do not deserve. The kids you minister to may not have siblings that want to murder them, but make no mistake, your kids deal with difficult situations that require God's loving intervention in their lives. 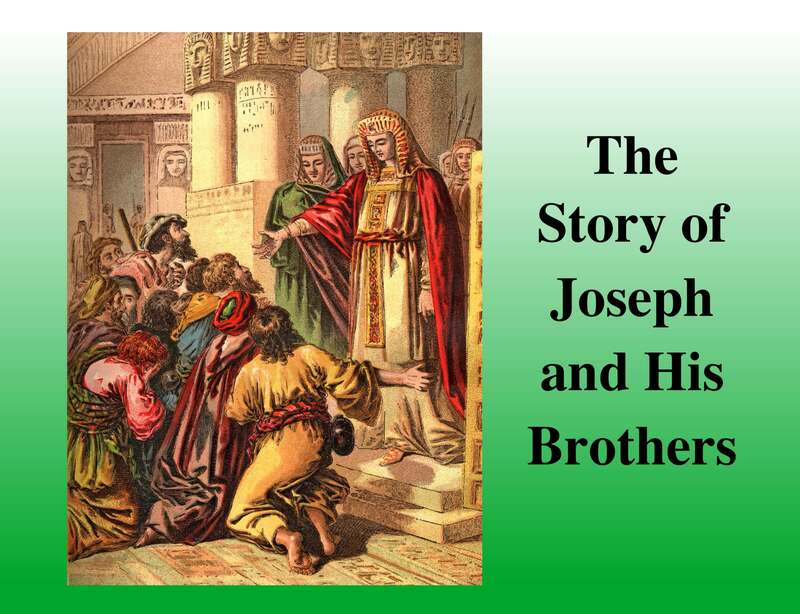 I want to provide you with the slides that I used to present the Bible story of how Joseph forgives his brothers so that you can teach this story with some great visuals. "The Ultimate Bible Picture Collection." All of these pictures are found in the public domain. I mentioned these following 3 Bible verses above. I have Bible verse songs for each of the scriptures. Take a look at the samples of each and click on the appropriate links to learn how you can purchase your own copies of the songs. Click HERE to learn how to purchase this song as part of my "75 Scripture Song Downloads."